Lightweight headset, wired for Shure transmitters. Galaxy Audio offers the best choice for quality performance in an affordable headset. The lightweight design makes wearing the microphone extremely comfortable, even for long periods of time, without using excessive pressure to hold the microphone in place. The soft microphone stem allows for easy adjustment of the microphone’s position as you wear the headset. 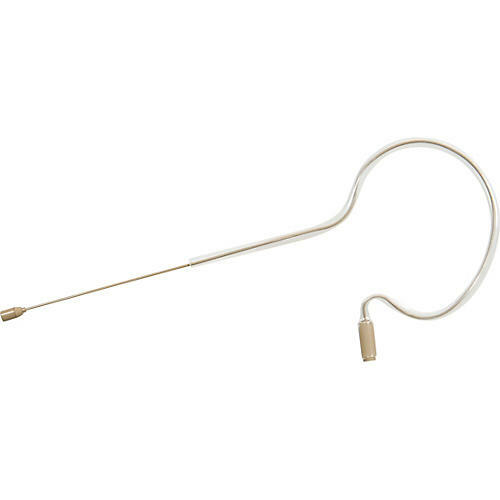 These Headset microphones, work great with many available wireless transmitters. Galaxy Audio's detachable cables can be wired to work with transmitters made by Galaxy Audio, AKG, Shure, Audio-Technica & Sennheiser. We can also custom wire to work with virtually any brand or model of wireless transmitter. You can also use the microphones with most PC sound cards (JIB/PB adaptor not included). Also, the JIB/PB may be used if a wireless transmitter is not available or needed. The JIB/PB will supply phantom power (if needed) to the headset and adapt the mini connector on the headset to a standard XLR connector so it can be attached to a soundboard. Lightweight headset for wireless systems. Order today.